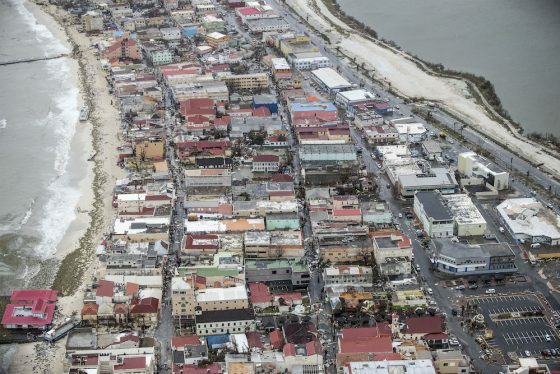 The government of the former Dutch colony of Sint Maarten has agreed after all to accept Dutch conditions for financing the rebuilding effort following the devastation caused by hurricane Irma. Three members of the island’s coalition threatened to pull the plug on their alliance unless prime minister William Marlin fell into line and backed the Dutch line. Marlin had earlier refused to accept two conditions which the Dutch government wants to impose on rebuilding its ravaged infrastructure: the setting up of a special Dutch-run body to oversee the flow of funds and moves to tighten border controls to ensure the local economy benefited. The Netherlands is creating a multi-million euro fund to finance the reconstruction of the island which will provide loans under very strict conditions to ensure maximum monitoring. Sources in The Hague and on Sint Maarten told Trouw last month that the fund may be as high as €260m but that the final amount will be decided in the coming weeks. Outgoing home affairs minister Ronald Plasterk gave Sint Maarten until the end of this month to agree to his terms.